When playing blackjack, you may occasionally find that you have the opportunity to make an additional wager called “insurance.” This is one of the lesser known aspects of the game of blackjack, and it’s often a subject of much debate. But what exactly is blackjack insurance? And how do you know whether or not it will improve your odds of beating the dealer and making more money off of the game? Despite what you may have been told, it’s a little more complicated than simply placing a side bet. Blackjack insurance involves a side bet in case the dealer gets a blackjack. Blackjack insurance is an optional extra bet that players can make when the dealer’s face-up card is an ace. Insurance can be taken for half of the player’s original wager. In this situation, players are betting that the dealer’s face-down card will be a 10, thus giving the dealer blackjack. Insurance pays 2-1 if the dealer has blackjack. When the dealer’s face-up card is an ace, he or she will ask players if they want to take out insurance. When the dealer says “insurance open,” you may place half the size of your original bet in the insurance spot on the table. After the dealer says “insurance closed,” no more bets may be placed. 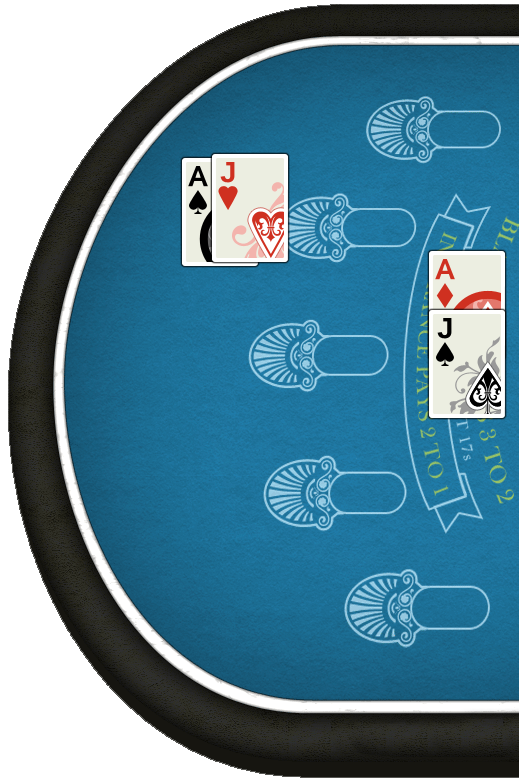 When playing blackjack online, the dealer generally moves from the right-hand side of the screen to the left, asking each individual player if he or she would like insurance. Is Insurance Ever a Good Idea? Most dealers recommend that players take insurance, because the net effect is that if they win their insurance bet but lose the hand, they’ll come out even. Insurance is most often utilized when players have blackjack – this can be accomplished by the player saying he or she will take “even money”. This is because if the dealer has blackjack, the player receives a payoff equal to his or her bet instead of the normal 3-2 payout. In other words, if both the dealer and the player have blackjack, no money is exchanged on the original bet. However, if the player placed an insurance bet, he or she will received a 2-1 payoff on that money because he or she was essentially betting that the dealer would have blackjack. This sounds like a good idea in theory, but the reality is that insurance often does not work in players’ favors. Although your expected result is always +$20 when taking insurance, you are better off by not taking insurance. In order for the odds to be even, the payout has to match the odds. This is not the case with insurance. 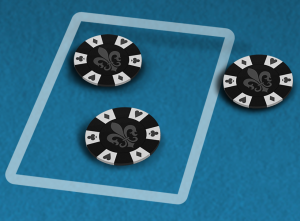 When playing with a 52 card deck, there are three visible cards in blackjack – the player’s two cards and the dealer’s face-up card (an ace, in insurance scenarios). That leaves 49 cards that are “unseen.” Of those 49 cards, 15 have a value of 10 (assuming the player does not have a 10-value card in his or her hand) and 34 have a value that is not 10. This means there is nearly a 70 percent chance that the dealer will not have blackjack. When players take “even money,” they will win one unit (in our example, $20) each hand they have blackjack whether or not the dealer has blackjack. This amounts to a total of 49 units. However, if players choose not to take the insurance option, and instead go for the 50 percent extra they can earn if the dealer does not have blackjack, they’ll win 1.5 units ($30) on the 34 occasions that the dealer will statistically miss, and push the remainder. This equals 51 units of winnings. more 10-value cards a player has in his or her hand, the worse the odds become. Why Would Someone Choose Insurance? One of the most common reasons that people take insurance when they have a blackjack is to take “even money” – a guaranteed win – rather than risk a push when going for the 3-2 payout. When a player takes “even money” he or she will win one unit (in the case of the above example, $20) every time. In other words, it’s the safe option, even though it will cause the player to lose money in the long run. Because the payout on the insurance bet doesn’t match the odds, players should never take insurance, even if it is suggested by the dealer. However, it is important to note that insurance is often favored by card counters. This is because they have the ability to tell when the dealer’s hole card has a value of 10.